With the undo failover operation, you can power off running VM replicas on target hosts and roll back to initial state of VM replicas. 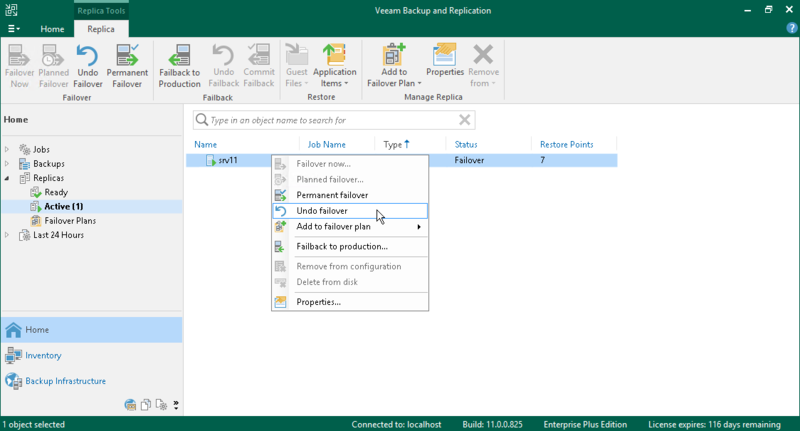 In the working area, select the necessary replica and click Undo Failover on the ribbon. You can also right-click the necessary replica and select Undo Failover. 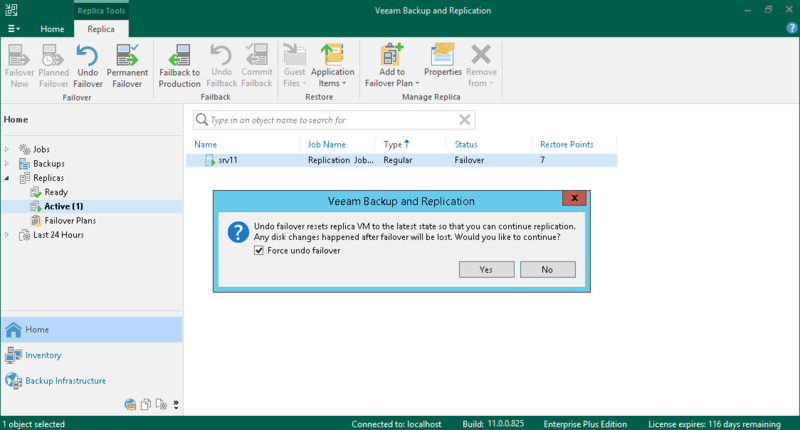 In some cases, Veeam Backup & Replication may fail to perform the undo failover operation. This can happen, for example, if the host on which the VM replica resides is unavailable. To overcome this situation, you can force undo failover. When you force failover, Veeam Backup & Replication attempts to perform the undo failover operation in a regular way. If the host is unavailable, Veeam Backup & Replication changes the VM replica state to Ready in the configuration database and console. In the displayed window, select the Force undo failover check box and click Yes.